The first step in the preparation of the receipt (recipe) Salmon Pudding, was to cook a salmon. A whole salmon was tied to my fish plank and set before the hearth. 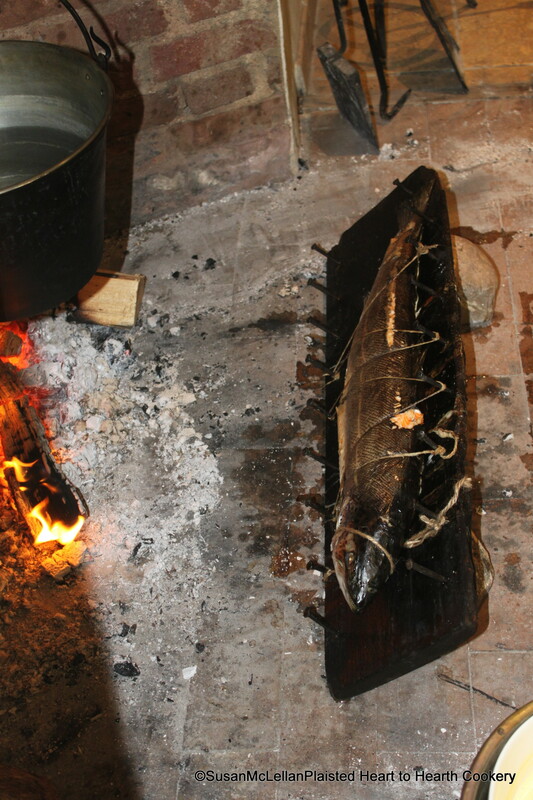 The hearth fire was situated so that the glowing embers were exposed to provide heat to cook the fish relatively quickly. There is more heat lower on the board so the salmon was placed first back side down and then turned to the position in the picture. The same process was followed when the fish was removed from the plank and tied back on the opposite side.